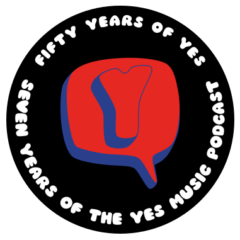 The thirteenth episode of the Yes Music Podcast featuring the twelfth studio album, ‘Big Generator’. Is this any more than a Trevor Rabin solo project? Where are the epic tracks? Does this album spell the end for the Yes we know and love? Great stuff Kevin. I tend to think of Big Generator as a slightly more experimental second album by a band called Cinema. I’m a big fan of hooky rock/pop music with progressive elements, and this album has it in spades. The backstory is fascinating, along with the constant struggle in the music as it weighs up the pros and cons of being “Yes”! Thanks, Ben – that’s a really interesting angle on the album. I wonder what you think of Union…? Union has fantastic cover art! In a curious sort of “mash-up” Yes played Holy Lamb morphing into Wurm on some of the Big Generator tour dates. That sounds a bit odd! I wonder if there’s a recording out there? Thanks for the comment, Ken.